The latest polls in Texas and Tennessee show that a pair of races in which Democrats felt they had real opportunities for Senate pickups in red states are settling down into comfortable territory for the Republicans. In Texas, where Ted Cruz’ campaign for re-election has been disparaged and discounted while his opponent, Rep. Robert Francis “Beto” O’Rourke of El Paso, was given non-stop glowing press reviews, the latest round of polling indicates O’Rourke’s sound and fury signifies little. Quinnipiac’s latest poll gives Cruz a commanding 54-45 lead in a race which seems polarized and set in stone – undecideds are less than one percent. Men back Sen. Cruz 62 – 37 percent as women tip to O’Rourke 52 – 46 percent. This compares to a 54 – 45 percent Cruz likely voter lead in a September 18 survey by the independent Quinnipiac (KWIN-uh-pe-ack) University Poll, with men backing Cruz 57 – 42 percent and women divided, going 50 percent for Cruz and 48 percent for O’Rourke. Today, O’Rourke leads 93 – 7 percent among Democrats and 56 – 42 percent among independent voters. Republicans back Cruz 94 – 6 percent. O’Rourke leads 84 – 10 percent among black voters and 61 – 37 percent among Hispanic voters. White voters back Cruz 69 – 30 percent. The Q-poll comes on the heels of a CBS News/YouGov poll last week which had Cruz ahead 50-44, and an Emerson poll also last week in which Cruz led 47-42. Quinnipiac’s polling has been more favorable to Cruz than other surveys taken of the race, but only one or two outlying polls haven’t shown Cruz ahead by a number outside the margin of error. This despite almost $30 million spent by O’Rourke’s campaign, in what could be one of the most egregious wastes of campaign dollars in American history fueled by what can only be called irrational exuberance on the part of the Democrats. The New York Times’ tracking poll of the Texas race, including 778 responses between Oct. 8 and Oct. 11, gives Cruz a 52-43 lead. If the Bredesen campaign had internal numbers indicating Kavanaugh was favored for confirmation by 74 percent of Tennesseans, it’s not surprising he’d lie about his hypothetical vote to confirm. But those numbers would indicate there was never any real chance a Democrat could win that Senate seat. Nonetheless, the Project Veritas video was a devastating hit. 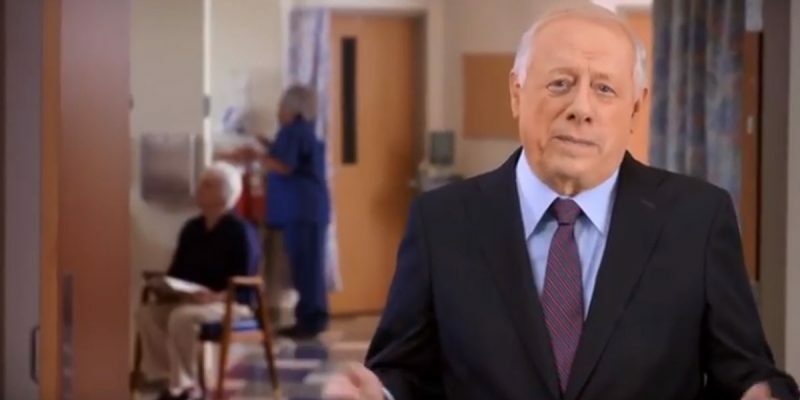 On the other hand, Bredesen did get an endorsement from pop singer Taylor Swift. That didn’t seem to help him much in the New York Times’ tracking poll, which with nearly 600 responses between Oct. 8 and Oct. 11 has Blackburn ahead by a whopping 54-40 margin.